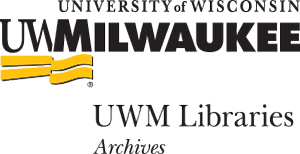 This digital collection presents primary sources from the University of Wisconsin-Milwaukee Libraries and the Wisconsin Historical Society that provide a window onto Milwaukee’s civil rights history. During the 1960s, community members waged protests, boycotts, and legislative battles against segregation and discriminatory practices in schools, housing, and social clubs. The efforts of these activists and their opponents are vividly documented in the primary sources found here, including photographs, unedited news film footage, text documents, and oral history interviews. This website also includes educational materials, including a bibliography and timeline, to enhance understanding of the primary sources. The March on Milwaukee Civil Rights History Project seeks to make Milwaukee’s place in the national struggle for racial equality more accessible, engaging, and interactive. Early in the evening of Monday, August 28, 1967, over one hundred members of the Milwaukee Youth Council of the NAACP gathered at their headquarters at 1316 North 15th Street, picked up signs hand-lettered with slogans like “We Need Fair Housing,” and, led by Father James E. Groppi, a white Roman Catholic priest who served as their adviser, headed toward the 16th Street viaduct. At about 6:30 p.m. they were greeted at the north end of the viaduct by almost another one hundred supporters and crossed over the viaduct to the nearly all-white south side of Milwaukee, Wisconsin. There the marchers met resistance. On the southeast corner of South 16th Street and West National Avenue, young white men sat on the hoods of cars at Crazy Jim’s Motors, holding other signs including one that read “Groppi—the Black god.” In fact, as many as 8,000 people, according to Milwaukee Police estimates, lined the route on South 16th Street and then along West Lincoln Avenue east to Kosciusko Park. These counter-demonstrators jeered, taunted, and cursed the young open housing marchers. What caused this confrontation? And what were the results?